You will enjoy reading 34 personal stories, one following each chapter. There are blank pages for you to jot down notes and your observations; and following each story, there are blank pages for you to add your own story. 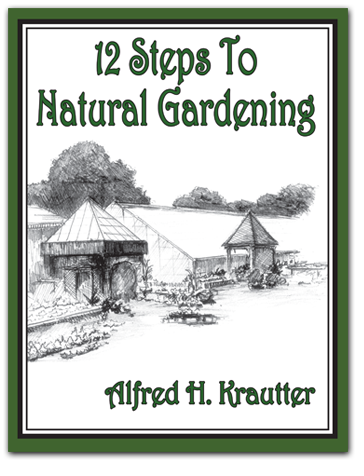 Alfred H. Krautter, owner of Sprainbrook Nursery in Scarsdale, New York, has lived his life growing plants and answering gardening questions. Over the years, he has perfected an organic approach based on time-honored horticultural principles coupled with new product availability. Adaptable to any growing region, this comprehensive guide combines practical advice with a personal philosophy of respect for nature that will have your garden flourishing – naturally – in no time.